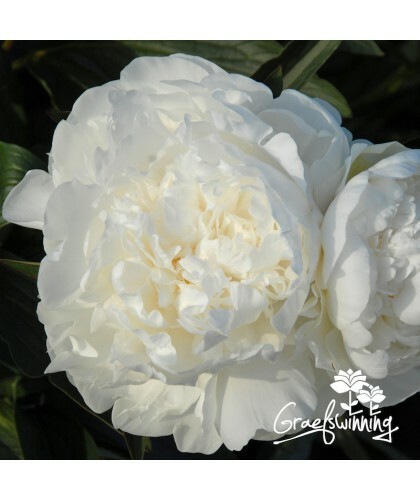 Pure white lush petals form a sumptuous double flower, with the occasional small red spec on the outside of the petals. On a warm day during a cool spring flowers may display a pinkish blush. A beautiful cut flower and precious landscape peony. Lovely fragrance. 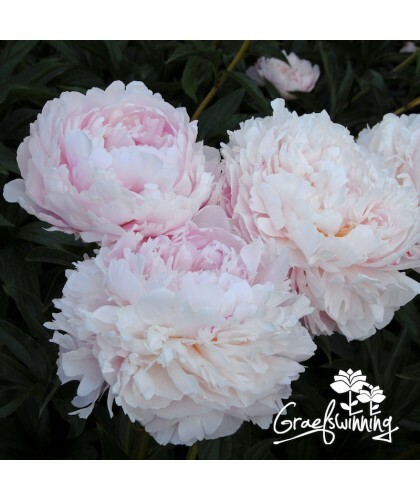 A vigorous double peony, which does not need any additional support. Healthy dark green foliage changes to a warm colour in autumn. Named after the mother of Mr. Olson.